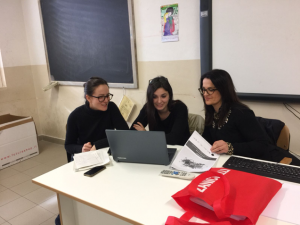 Academic Secondary School of University of Social Science took part in the piloting performing the activities from E-Evalinto platform. Teacher Mr. Adam Gogacz conducted educational classes e.g. about Ukrainian music. 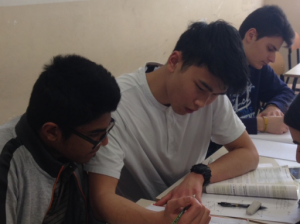 Due to those activities, students got familiar with the culture of the other students. All students involved in the project were very interested in the new activities. The WYRED team (from Brussels, Spain, Austria and Turkey) at the entrance of the European Parliament in Strasbourg, ready to attend the opening ceremony of EYE 2018. Under the motto “The plan is to fan this spark into a flame.” (Hamilton, My Shot), 8,000 young people from all over Europe meet in Strasbourg to come up with ideas for the future of Europe and discuss with European decision makers. Friday, 1 June, 15:00 – 16:30: The digital revolution continues: what will be the next steps? Young people have been navigating the digital society from an early age and technology has always played a prominent role in their lives. As such, their voices should be represented in discussions on how this society should evolve. What do you think are the most important changes we need to implement in the future? How do you envision the ideal digital society? Join us to discuss with other young people, design your own plan and become an active participant in the digital revolution! Saturday, 2 June, 14:00-15:00: Growing up in a digital society: What matters most to young people? Today’s young people have grown up in a digital world, but they rarely get a say on what matters most in our digital society and what our priorities should be. Their world has been shaped, and is still being shaped, by others. Instead of being seen as passive objects of others’ decisions, young people should be fully included in conversations on their own future. What do you think is the most important issue in our digital society? Join this discussion with experts and policy-makers and come up with solutions to these issues together. At the end of the dialogue with the MPEs, Vera, Guillermo and Manuel, three young students from Spain, will present their short film “The face of society”, developed as a research project in WYRED. The video is an invitation to reflect on the effects of globalization, excessive consumption and technology in the creation of undifferentiated young people without their own identity, which reflect the face of society, and not their own. Special thanks to all the YEU team, our WYRED partner, who made this experience possible. The post Ready for EYE2018 appeared first on netWorked Youth Research for Empowerment in the Digital society. 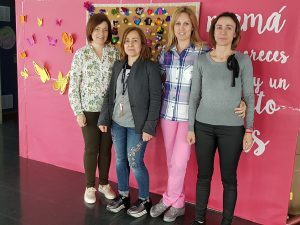 The IES F. Garcia Bernalt of Salamanca in one of the European schools that joined the E-EVALINTO project piloting in 2018. The school, very active in the social field through numerous projects in the field of Service Learning, involves the students in “living experiences” in collaboration with different associations, movements, residences and NGOs such as the Food Bank and Cáritas. During 2017-2018, as part of the initiatives undertaken under the annual school programme, named this year “Include yourself, include me”, a group of teachers participated in the EVALINTO teacher training course and organized peer mentoring activities with their students. The first Irish school to join as research partners is St. Paul’s CBS, North Brunswick Street. With a migrant student population of over 35%, it is hoped that the students will benefit greatly from participation in this European study. Teachers, Ms. Valerie Roe and Mr. Ciaran Geraghty are looking forward to engaging with the ten students who will work together over the coming weeks. Dr. Bernadette Sweetman and Prof. Joe O’Hara of EQI DCU presenting on the E-Evalinto project at the Educational Studies Association of Ireland 2018 conference. 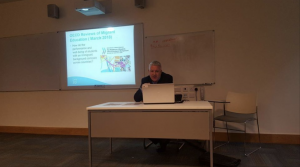 The ESAI (Education Studies Association of Ireland) 41st Annual Conference took place at UCD from 5th – 7th April 2018. The theme of this year’s conference was Values and Purpose in Education, a theme that is highly significant in the current research of the Centre for Evaluation, Quality and Inspection of Dublin (EQI). EQI, partner of the E-EVALINTO project, were well presented with researchers from the Centre presenting seven papers at the conference as well as chairing some sessions. One of the presentations was devoted to our project topic: “Tackling early school leaving in migrant populations through peer mentoring”. 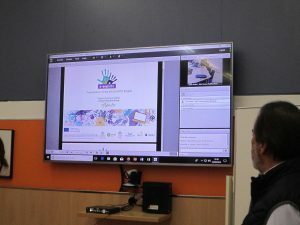 An overview of the curriculum and online educational resources developed inside the project has been presented and a summary of the engagement in schools by the project participants has been outlined. 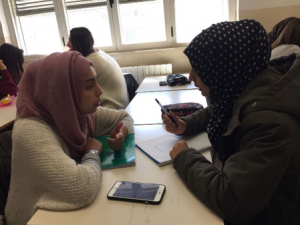 In the need assessment phase, in fact, it emerged from the students a strong request for an increase in intercultural events and activities inside the school circuit. 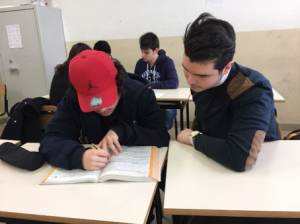 Keeping in mind the priority school needs of the students, E-EVALINTO might represents a positive chance to go deeper in the process of interculturalism and integration. 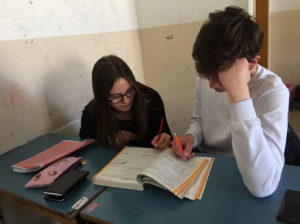 After many years concentrating in homework and after-school sessions and in addressing the academic weakness of the mentees involved, these new ludic and playful activities are a mean to even out the school differences and to bring the tutor-mentee relationship to a more personal level. E-EVALINTO activities are an enriching chance for the whole program that is already a best practice in intercultural mentoring experiences. Actually, creating stronger personal relationships between students with different backgrounds is a powerful way to prevent school drop-outs and to nourish broader intercultural sensitivity. 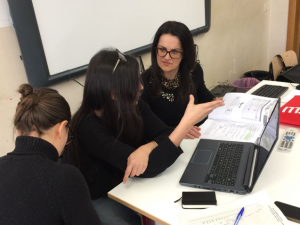 It is also an opportunity for teachers and trainers to learn the importance of a pre-structured evaluation mechanism, as envisaged in the project. In fact, there is a low awareness about the importance of peer assessment and self-assessment as a different way to promote personal growth. 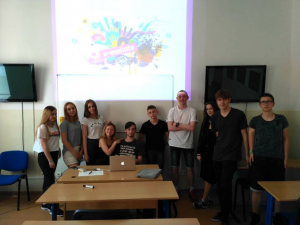 Furthermore, EVALCOMIX offers the chance to teachers and students to receive a training on the use of the digital platforms (school funds allocated to computer technology are very poor). On the side of migrant students, EVALCOMIX represents a stable mean to stay updated on the progresses of the activities even when they are abroad or busy somewhere else. In fact, it is typical for some young foreign people (for instance among the Chinese community) to go back to their Country of origin during special occasions, or to have a part-time job that sometimes make them skip afterschool activities. 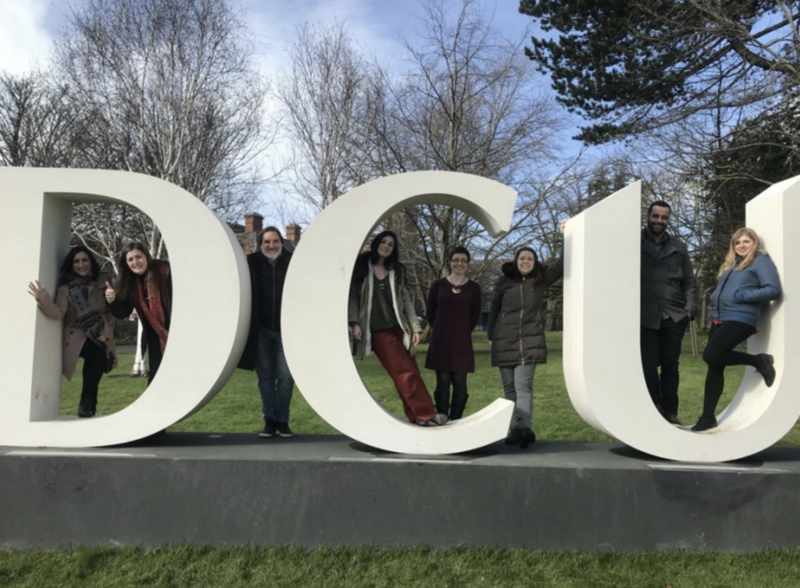 The six partner institutions of the Erasmus+ funded research project E-Evalinto met in DCU St. Patrick’s Campus on 15 – 16March 2018. Over the two days, partners shared their experiences of how the initial pilot schools who have joined the project as research partners are progressing with the intercultural peer mentoring activities. 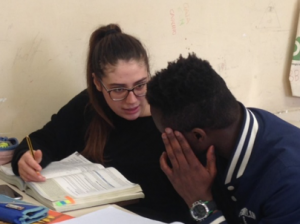 The research project, which aims to combat early school leaving amongst migrant students, focuses on a variety of targeted peer mentoring activities followed by a range of assessments on a purpose-built virtual campus. 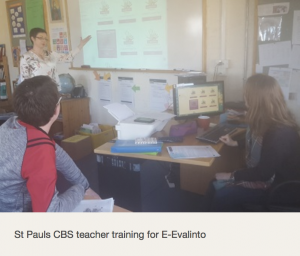 Presently, a pilot group of post-primary teachers in Spain, Italy, Poland, Cyprus and Ireland are receiving training in the use of the E-EVALINTO virtual campus. A very productive workshop took place yesterday afternoon at the USAL Faculty of Education. María José Rodríguez Conde and Antonio M. Seoane Pardo, academic staff of the faculty and researchers of the E-EVALINTO project met teachers from two institutes of Secondary education in Salamanca, IES Venancio Blanco and IES García Bernalt, who are participating in the pilot phase of the project and a group of future teachers of the Master in Education. 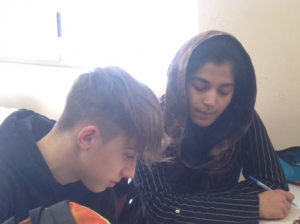 The goals were to investigate the concepts of peer mentoring and e-evaluation from a methodological point of view and to start designing and implementing an intercultural mentoring programme in schools. A complete route through the E-EVALINTO Virtual Campus (Moodle platform for teacher training, tailored online spaces for the development of activities with the students of each pilot school and evaluation tools) has completed the meeting. Thanks to all the participants for the active collaboration! 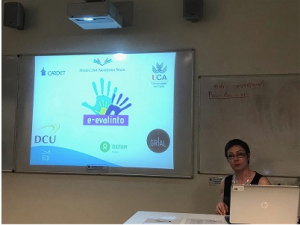 Last February 23rd, Gregorio Rodríguez Gómez, Professor of Educational Research Methods at the Didactic Department of the University of Cádiz (Spain) presented the E-EVALINTO project and its products to the UCA teachers and researchers. The context has been a meeting convened by the Office for International Relations of the UCA for fostering the participation of academics in the Erasmus + programme, in which two “Strategic Partnership” projects have been selected as best practices. 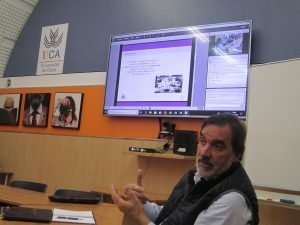 The presentation was made not only for those attending the meeting but also through videoconference as there were teachers following the presentation from the Jerez, Puerto Real and Algeciras UCA campuses.